Glaucous Gull - juv under the waterfall c1000hrs as per these pics but not there one hour beforehand and not seen since. Where is its bolthole or rooftop? Pale-bellied Brent Goose - the two were on the shore north of Heysham Head off the horse paddocks, then shifted to Red Nab at High Tide (1500hrs). 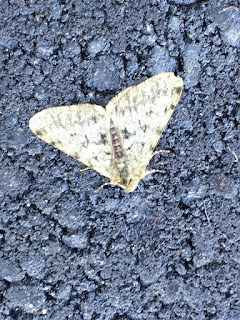 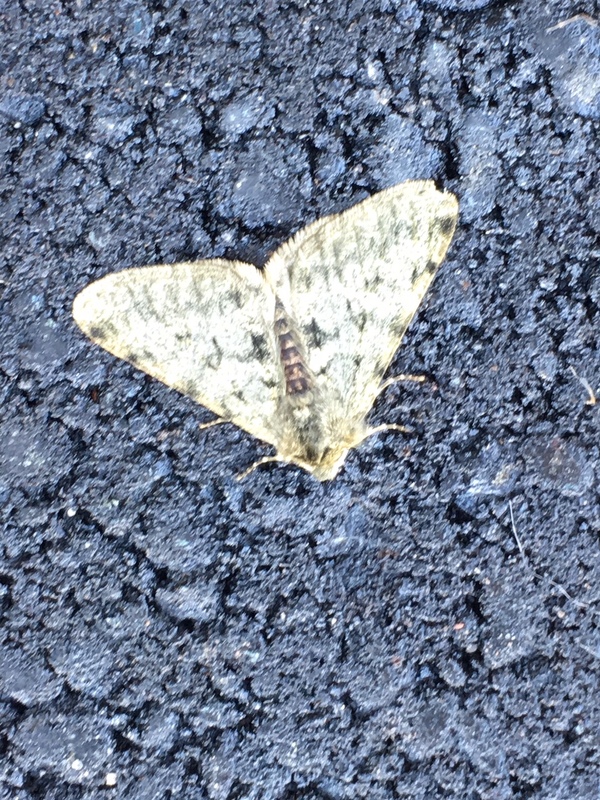 This is a Pale-brindled Beauty copied by accident but the first moth of this year at Heysham NR office!